Since this month, the boys and girls of the Local Dreamers soccer school have brand new soccer shoes. Our partner Wings of Support donated fifty pairs of new shoes. 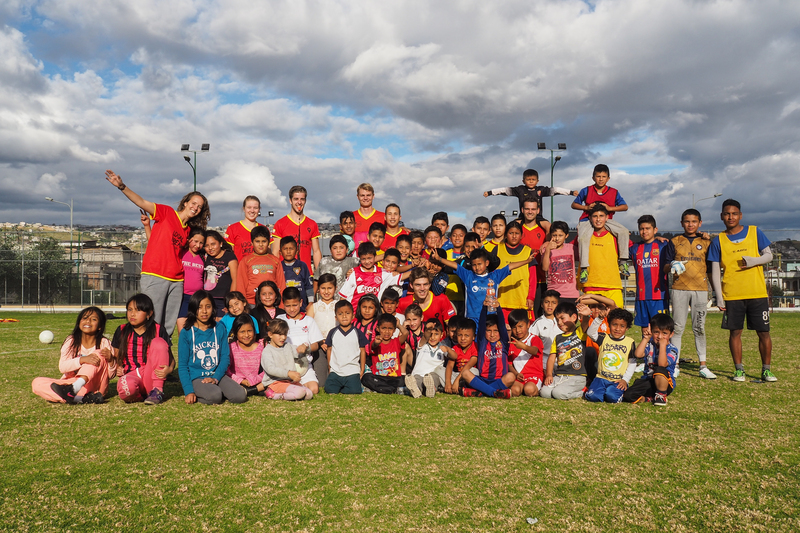 In mid-September, Robin de Geus and his colleagues visited our soccer school. Since 2013, Wings of Support is a partner of Local Dreamers. Wings of Support is an initiative of KLM employees, and the foundation supports Local Dreamers annually with several donations. In the past, Wings of Support helped with the purchase of computers, soccer kits, training clothes, soccer shoes and more. Also this year we had contact with Robin de Geus, project coordinator of Wings of Support, and for years a big fan of our projects. Every training we provide our pupils of soccer shoes, which the children use during the training. Due to the frequent use of the materials, we need new shoes every now and then. This is where Wings of Support jumped in. Last Thursday, September 14th, we were able to use the new shoes for the first time. Robin de Geus was present at the training with some of his KLM colleagues. The kids were visibly happy with their new footwear and the ice creams at the end of the training made the day complete. Robin made some nice pictures, which produced a beautiful report. Take a look at our Flickr page for more pictures of this wonderful day.